The first vilāsa of Haribhakti Vilāsa explains quite a bit about the qualities of a guru. 3) and to be fully dedicated to pursuit of those conclusions. HBV 41 suggests that a guru must instruct the disciple using a balance of both praise and correction. HBV 45-46 quote Viṣṇu Smṛti, explaining that even if someone has all these qualifications, they shouldn’t go out looking for disciples or advertise themselves. They must only accept disciples out of compassion for and affection for the students. HBV 47-55 clarify that for Vaiṣṇava dīkṣa the most important qualification is that the guru recieves a Viṣṇu mantra from a proper lineage, and uses that mantra faithfully to worship Viṣṇu. In his comment on HBV 54, Śrīla Sanātana Goswāmī quotes the pañcarātra stating that it is advisable to reject dīkṣa from a person who is not a Vaiṣṇava, and take the opportunity to receive dīkṣa from one who is. 3) pursues behavior not fit for their āśrama – which could be evidenced in physical ways like their becoming too hairless or hairy (a gṛhastha being too renounced or a tyāgi becoming too opulent), and/or in their developing bad teeth, discolored lips and bad breath. 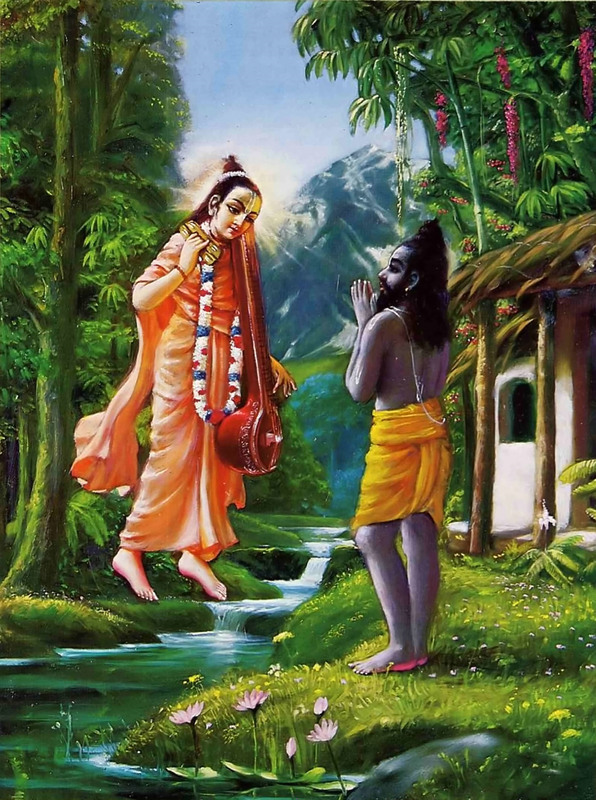 HBV 59-72 clarify that a guru can also refuse to accept, or can reject a disciple under circumstances where the disciple displays refusal to learn, etc. In fact, if a guru does not reject such people, it is evidence that the guru wants the prestige of having many disciples, and is a sign that the guru is fallen. HBV 73 – 78 clarify that a guru must not accept a disciple before the two of them actually live together for one to three years and mutually decide on their compatibility. As I see it, if a person has all the above qualifications, they are a perfectly qualified guru and it would be extremely easy to be a very good disciple of such a person. Therefore we should try to find a guru with all the qualities, or at least a great many of them. The core property (as evidenced by the Upaniṣad quote at the outset) is a very clear understanding of the Veda, and ability to clearly explain that. Without this core quality, even with the other qualities, a person is not qualified to be guru. Thus, the main quality of a guru is the ability to explain the Vedas and clear up doubts various people will have about their conclusions and meanings. Next According to the Veda, Are Women Less Intelligent than Men?